This lake lies 45 km north of Mandi, with a three storied pagoda like temple dedicated to the sage Prashar. The Lake is located at an height of 2730 m above sea level. With deep blue waters, the Lake is held sacred to the sage Prashar and he is regarded to have meditated here. 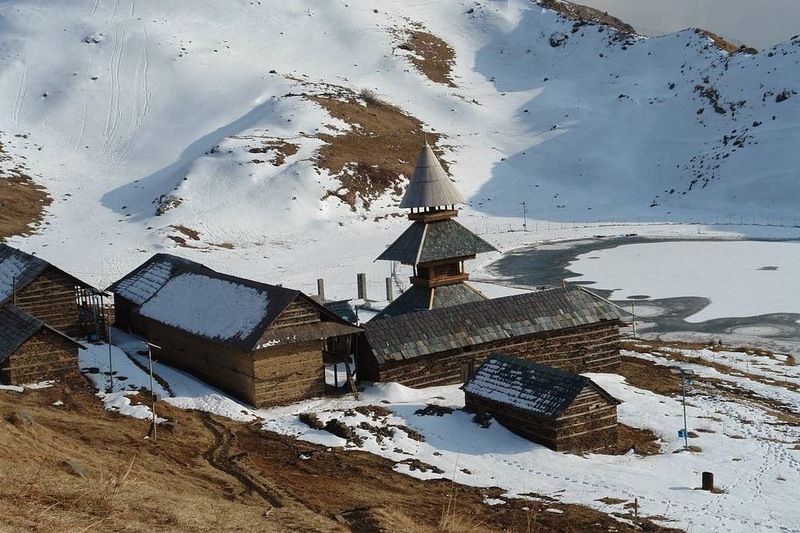 A three storied pagoda-like temple dedicated to the sage Prashar, the lake is has deep blue waters, surrounded by snow-capped peaks and looking down on the fast flowing river Beas, the lake can be approached via Drang. The temple was built in the thirteenth century and legend has it was built by a baby from a single tree. The lake has a floating island in it and it is said to be unclear how deep it is, with a diver not being able to determine its depth.Framed by snow-capped peaks and looking down on fast flowing river Beas, the Lake can be approached via Drang. Every year in the month of June, famous traditional fair is held here. Several camping sites are also located here and it is the base for numerous easy & hard treks. Nearby Destinations: Chindi, Barot, Janjehli. Pandoh: Just 16-km away from Mandi is Pandoh Dam. Shikhari Devi: 15-km from Janjheli is situated the ancient temple of Shikhra Devi and is surrounded by some marvellous landscapes. Barot: A nice picnic spot situated at a distance of 33 km. from Mandi on the Mandi - Pathankot Highway. It is famous for trout fishing and a ropeway that attracts the tourist. Chindi: This little hamlet in an apple growing area is blessed with breathtaking beauty. There are numerous small temples of considerable antiquity not too far away. 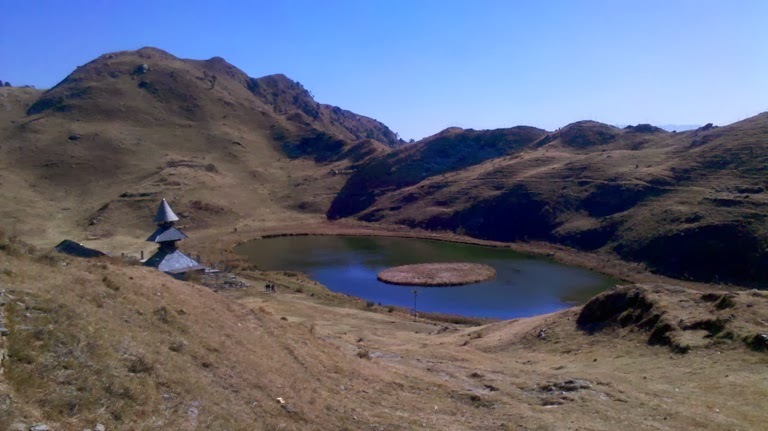 Kamru Nag Lake & Temple: Resting resort for trekkers at a height of 3,334 meteres above sea level on the Mandi–Karsog road. You can start trek from Rohanda which is 40 km from Sundernagar & 60 km from Mandi. Do it Yourself - Best Plan! Travel to Shimla. Spend about a day there. Bike downhill to Tattapani. Enjoy a session of Rafting on the Sutlej. 18kms (1hr). Proceed further towards Chindi, nestled amongst Apple orchards and rolling Meadows. A great destination for unwinding. Absolutely splendid in the Monsoons. Travel further through a great winding road towards Mandi (cycle it down) 69 kms. A day in Mandi is just as good. Its the temple town of Himachal Pradesh. Kataula is 22 kms from Mandi, Start from here towards Parashar Lake. Katindi is the base for the hike up to the lake or you can also drive up through the forest and the off road track leading up to the lake and the temple. Camp or Stay at the Forest Rest House.